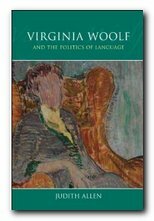 The Virgina Woolf industry continues at full capacity on both sides of the Atlantic, and this slim monograph Virginia Woolf and the Politics of Language comes to us from the University of Pennsylvania, courtesy of Edinburgh University Press. Using the link between Virginia Woolf and Montaigne as essayists for her springboard, Judith Allen uses it as an excuse to write about contemporary political concerns, ranging from ‘extraordinary rendition’ and ‘collateral damage’, to ‘Abu Ghraib’ and anything else on the spectrum of abuses which have been the subject of lies, propaganda and deception by the press and the political class. One applauds the political sentiments of course, but one often searches in vain for a connection with Virginia Woolf. Her basic argument is that the essay is an exploration of a topic or an idea, and because it looks at issues from a variety of perspectives, it is the enemy of totalising theories and systems. That seems quite reasonable, and it is true that both Woolf and Montaigne use the essay forms as a means of opening up and exploring ideas, comparing one thing with another, and discovering unexpected links between the past and the present. The only other coherent argument that emerges is that Virginia Woolf uses images and metaphors of growth, change, flux, and mutability in her work – which Allen assumes are feminine strategies of writing, deliberately designed to challenge a masculine attempt to establish stasis, fixity, and permanence. This too might be a persuasive argument if it were supported by more in the way of evidence. 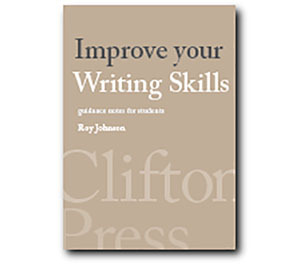 The discussion ranges from one essay to another, from essay to novel, from one critic to another critic’s view of the first and back again. The critics engaged to support her arguments are what might be called the usual suspects – Bakhtin, Deleuze, and Guattari. And the whole production has about it the spirit of a composition with one primary motivating factor – the quest for academic promotion. In terms of its style, nothing could be further from the clarity, simplicity, and authenticity of the writers she is discussing – Woolf and Montaigne. A whole chapter is devoted to the fact that Woolf often changed the titles of her works, with accompanying large claims made for the significance of this practice – ignoring the fact that many writers do the same thing. Judith Allen also has a curious habit of referring to the ‘narrators’ of Woolf’s essays, when there is in fact little or no evidence to support the notion of a fictional construct. The essays come to us quite simply as the thoughts and writing of Woolf herself. Her opinions are often offered in a playful, oblique, and metaphoric manner – but that’s her style: there is no constructed intermediary delivering her opinions. The last parts of the book are largely devoted to a critique of US and UK policy in the war on Iraq. However much one might share her sentiments on this barbaric, illegal, and counter-productive invasion, they tell us nothing about Virginia Woolf except that she was a vehement critic of imperialism and also a pacifist – something I think we already knew.